A 1970 federal law classified marijuana as a drug akin in seriousness to LSD and heroin. As such, criminal penalties for possession and sale have been extremely harsh. The move has long been criticized and is becoming even more problematic as states legalize marijuana for medicinal and recreational use. One federal judge in Northern California has decided to rule on the whether the classification is constitutional, a decidedly extraordinary and rare move, especially as marijuana rights advocates have pressed Congress to change the classification for decades. A five-day hearing was held in late 2014 and a judge is expected to hear final arguments in February. A ruling is expected later in 2015. The Sacramento case is noteworthy, as it is the first time a judge has agreed to hold a fact-finding hearing on the classification of marijuana as a Schedule I narcotic. According to the L.A. Times, the criminal defendants have argued the law is a violation of the Constitutional guarantee of equal protection of states under the law. Defense attorneys also maintain marijuana is safer than other substances, including alcohol, and that the federal government is unfairly and unevenly enforcing the law, allowing distribution in some states and heavily prosecuting in other states. Not surprisingly, federal prosecutors in the case challenged the fact-finding hearing, and argued that the classification was established by Congress. Essentially, the classification deems marijuana unsafe even under medical supervision and holds the drug has no medicinal purpose as well as a high potential for abuse. Equating marijuana with drugs like Ecstasy, heroin, and Mescaline also means it is more difficult for researchers to use marijuana in medical testing. Advocates for the growers say the scientific understanding of the effects of marijuana is critical to the public debate. Now that there is more knowledge of the benefits of marijuana, public perceptions are changing and a majority of Americans favor legalization. Importantly, the science of marijuana and public opinion have shifted largely since the drug was classified by Congress. The majority of states have already given legal protections for medical use, and an additional handful have legalized marijuana for recreational use. Our Orange County marijuana attorneys can provide you with up-to-date information on your rights as an individual user, card holder, or dispensary owner in California. For marijuana users and advocates, the drug is less harmful that alcohol and prohibiting it, or classifying it as damaging as heroin is absurd. 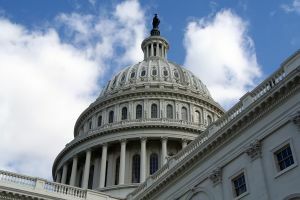 Lawyers have also pointed to a provision of a spending bill that prevents the DOJ from funding actions to prevent states from enforcing their own marijuana laws. The court challenge is one of many that have attempted to remove marijuana from Schedule I. A ruling would only apply to the defendants in the case and would likely face a round of appeals. However, if the U.S. Court of Appeals for the Ninth Circuit finds the law unconstitutional, then all Western states would be impacted.